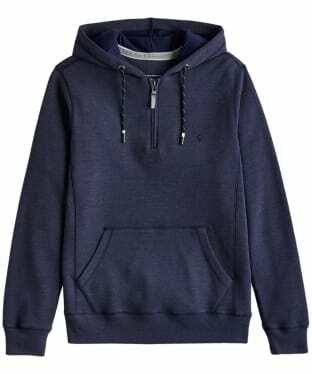 Style up your casual attire and make incredible savings with our men's hoodies sale collection. 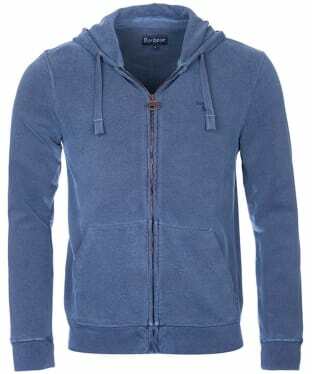 A pivotal wardrobe item for the modern man's everyday wear, men's hoodies have become a signature look and an anchor to a casual ensemble. We boast a versatile and trend-led collection for every occasion from your favourite brands such as Barbour, Original Penguin, and Franklin & Marshall - to name a few of the exceptional names that lead the way in idolised style, fit and function. Whether you're seeking an understated aesthetic to kick back and relax in or a more detail heavy item performs for daily activities - each hoody channels a sports influenced edge whilst remaining fashion-conscious for the dapper gent..with wonderful discounts on top. Soft cottons with stretch-property cloths and lightweight, breathable textiles are cut into form-flattering silhouettes in pullover or zip closure styles. Pockets, toggle adjustable hoods and an abundance of detailing from striking logos to bold graphics and everything in between are ready for the choosing. 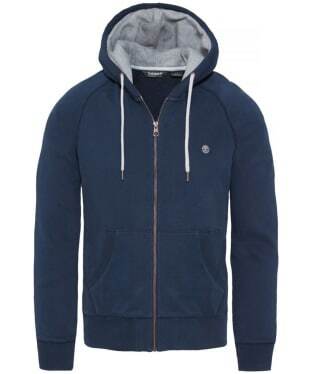 Perfect for adding warmth to your look without compromising on style, the Men's Timberland Exeter River Zip Thru Hoody has been crafted from a cotton blend fleece which offers you comfort and protection on those cooler days. Featuring an attached hood with drawstring adjustment and a contrast colour lining, the hoody includes full zip fastening which allows it to be worn open over a tee on warmer days or worn zipped up when the temperature takes a turn for the worse. The design is finished off with two front pockets and the Timberland tree logo embroidered to the chest to add that final stamp of style and mark of quality. 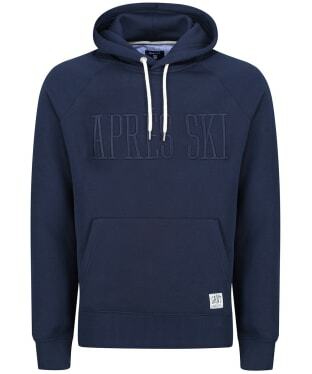 Take on those chilly snow days in style with the Men's GANT Apres Ski Hoodie. Warm and comfortable, this layer is perfect for placing under your favourite GANT jacket whether you are heading onto the slopes or simply relaxing après ski. Crafted from super soft cotton with an added touch of polyester for durability, this hoodie has a premium feel and is a fantastic choice for keeping you on-trend through this season and beyond. Featuring a hood for added protection against those chilly winds, this hoodie also has ribbed cuffs and hem to keep the cold weather at bay. For a practical feel, this GANT piece has a front kangaroo pocket, ideal for placing your personal essentials whilst you are out and about. Stay warm this season with the Joules Brookwell Sweater, crafted from a super soft cotton mix fabric, its perfect for casual days. Featuring a half zip, draw string hood great for keeping the chill out on colder days, ribbed hem and cuffs and a kangaroo pocket for keeping your hands extra warm. The Joules Brookwell Sweater is finished with the Joules hare logo to the chest and is sure to become your favourite sweater this season and beyond. The Joules Hemsby Hooded Sweater is an essential to keep you feeling cosy this season. Crafted from a cotton mix with added stretch to help you move comfortably it is sure to become a wardrobe fvourite. The sweater features a drawstring hood in a waffle textured fabric, a kangaroo pocket and a full length zip. 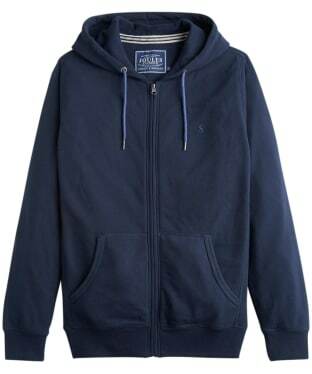 The Joules Hemsby Hooded Sweatshirt is finished with a ribbed hem and cuffs and the Joules hare branding to the chest.